and Mrs. G is about to become very vocal! What a sweet face. And I love how you haven't outlined it so that the neck markings define the neck. Lovely eyes! I love this, I can almost reach out and feel her fuzzy nose. And love the little story that goes with the painting. Exactly what Cindy said! The way you did the neck is inspiring. 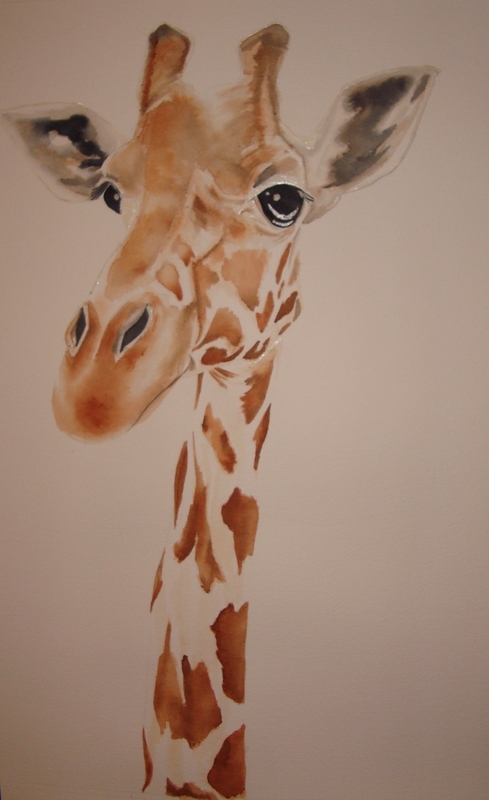 A very sweet giraffe! I've just been doing blind contour drawings of giraffes. It's easy to get lost along the way when you're not looking! Love this! Beautiful! I love her eyes! I can totally see the irritation in her eyes and expression. She's THIS CLOSE to dealing with the situation. Gorgeous! Your work is simply gorgeous!